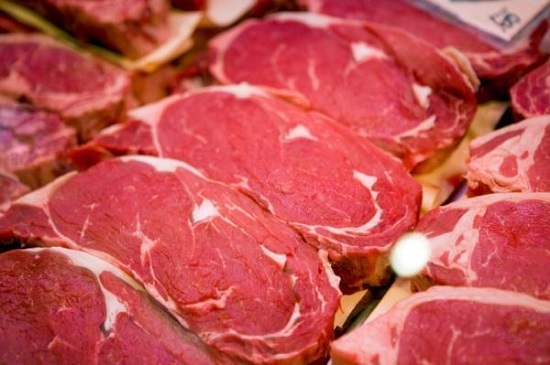 Sugar molecule links red meat consumption and elevated cancer risk in animal model. While people who eat a lot of red meat are known to be at higher risk for certain cancers, other carnivores are not, prompting researchers at the University of California to investigate the possible tumour-forming role of a sugar called Neu5Gc, which is naturally found in most mammals but not in humans. The scientists found that feeding Neu5Gc to mice engineered to be deficient in the sugar (like humans) significantly promoted spontaneous cancers. The study did not involve exposure to carcinogens or artificially inducing cancers, further implicating Neu5Gc as a key link between red meat consumption and cancer. Until now, all evidence linking Neu5Gc to cancer was circumstantial or indirectly predicted from somewhat artificial experimental setups. This is the first time researchers have directly shown that mimicking the exact situation in humans, feeding non-human Neu5Gc and inducing anti-Neu5Gc antibodies, increases spontaneous cancers in mice. The team first conducted a systematic survey of common foods. They found that red meats (beef, pork and lamb) are rich in Neu5Gc, affirming that foods of mammalian origin such as these are the primary sources of Neu5Gc in the human diet. The molecule was found to be bio-available, too, meaning it can be distributed to tissues throughout the body via the bloodstream. The researchers had previously discovered that animal Neu5Gc can be absorbed into human tissues. In this study, they hypothesized that eating red meat could lead to inflammation if the body’s immune system is constantly generating antibodies against consumed animal Neu5Gc, a foreign molecule. Chronic inflammation is known to promote tumour formation. To test this hypothesis, the team engineered mice to mimic humans in that they lacked their own Neu5Gc and produced antibodies against it. When these mice were fed Neu5Gc, they developed systemic inflammation. Spontaneous tumour formation increased fivefold and Neu5Gc accumulated in the tumours. The team state that final proof in humans will be much harder to come by. But on a more general note, this work may also help explain potential connections of red meat consumption to other diseases exacerbated by chronic inflammation, such as atherosclerosis and type 2 diabetes. The team summise that moderate amounts of red meat can be a source of good nutrition for young people. The researchers hope that their work will eventually lead the way to practical solutions for this catch-22. Researchers discover key epigenetic mechanism of human aging. Researchers discover a new anatomic structure in the ankle.